Enjoy flexible settings of email templates. 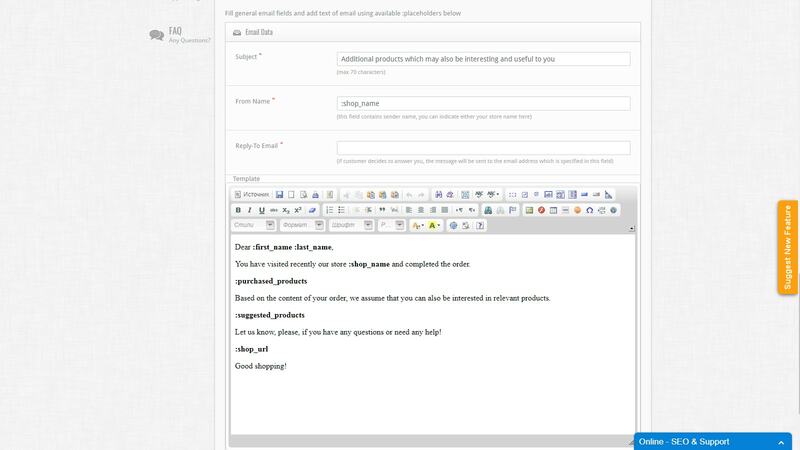 The editor allows adjusting the template by picking up any email elements without CSS coding. 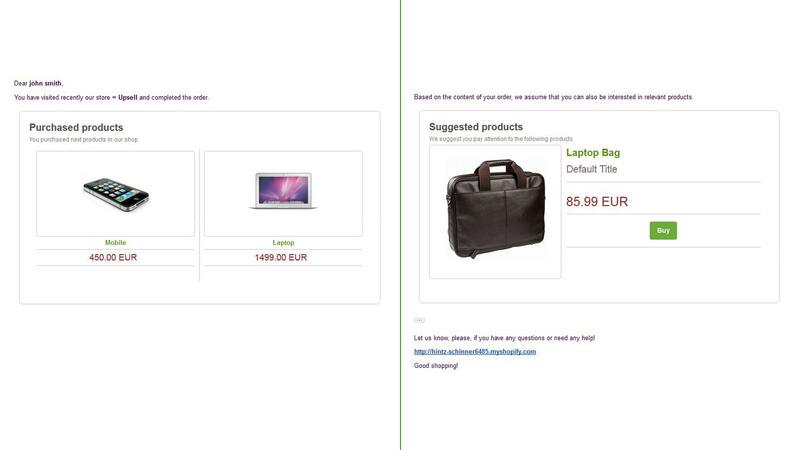 Create a set of emails with different upsell offers. This means that a customer will receive a different email from your store each time. You can schedule your email campaign. With the app, you can send an upsell email in a week, month, etc. after the purchase. Get the valuable statistics with graphics to analyze the growth of your online store. With the statistics, you can easily decide on the next marketing steps. 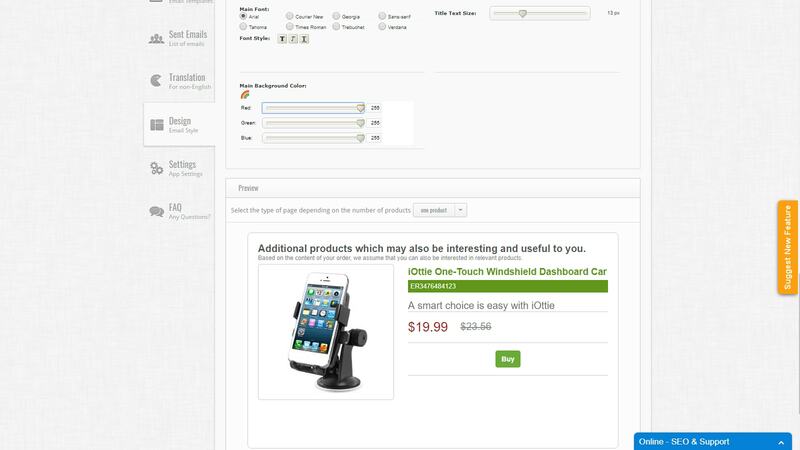 To install the app, there is no need for any manual modifications of your Shopify store. 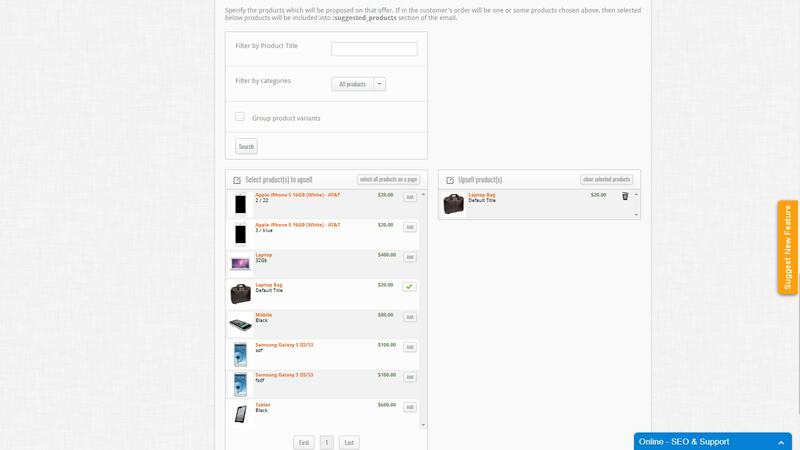 The extension is compatible with any Shopify theme. In case there are some technical issues with the app, our support team will solve everything within a couple of minutes. Offer your customers an opportunity to purchase goods that are more relevant by sending an email. Unlike a usual ‘thank you’ letter, suggest additional products. Take advantage of our Shopify Email Notifications for Upselling Apps and triple your revenue! Did you know that upselling is 10+ times easier than attracting new customers? The app allows for scheduling an email campaign and sending follow-up emails in two days, weeks, or months after the purchase. Such emails will help you retain customers and remind them to buy items from your online store again. Moreover, the Shopify email scheduled notifications for the upselling apps are customizable to allow sending various upselling emails within different time periods. It means that a customer will get different offers from your store each time. This is a must have apps for any successful eCommerce store. This is a must have app for any online store. Very well thought out function. We highly recommend this app. Great easy t use it i would recommended to everyone to use it. I love using it on my website. I would recommend it for every entrepreneur to install it. Superb, I cannot imagin one can get such automation for email for free. Really good App. Would recommend to everyone starting on Shopify.